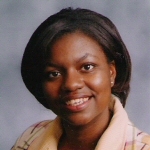 Turkiya L. Lowe, Ph.D., is currently the Southeast Regional Program Manager for the Underground Railroad Nework to Freedom Program for the National Park Service (NPS). Dr. Lowe also coordinates the Cultural Resources Diversity Internship Program (CRDIP). The program places college students with NPS parks and program offices, state Historic Preservation offices, other federal government agencies, local and state governments, and private organizations. In addition, Dr. Lowe consults on projects for community-based, African American organizations. She researched and wrote a manuscript for the Greater Seattle Chapter of The Links, Inc. that was published as The History of the Greater Seattle Chapter of The Links, Incorporated, 1955-2005 (Seattle, 2005). Dr. Lowe earned her Master of Arts and Doctor of Philosophy degrees in History from the University of Washington, Seattle, in 2002 and 2010, respectively. Originally from Savannah , Georgia , Ms. Lowe received her Bachelor of Arts from Howard University in Washington, D.C. Her academic fields of interest are African American History, 20th century US History, and Women’s History.